Doing various activities during sleep is a type of sleep disorder referred to as sleepwalking or somnambulism. It is a very common misconception that sleepwalking is only a sleep disorder that is associated with walking during sleep only, while the truth is, any activities done during sleep, such as changing clothes, turning the tv on, going down the kitchen, etc. 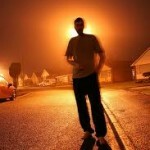 are considered to be a type of sleepwalking. 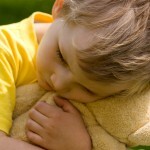 Even though sleepwalking commonly affects young children, sleepwalking can still affect anyone from all age groups. Sleepwalking usually happens during the REM or Rapid Eye Movement stage of sleep, wherein the individual is in the deepest stage of sleep already. Sleepwalking does not possess any health risks, but when activities performed are dangerous, such as driving, then sleepwalking can cause life threatening situations. To prevent injuries and life threatening situations from sleepwalking, sleepwalking prevention will be very beneficial. Make sure to get at least 8 hours to 9 hours of sleep every single night. 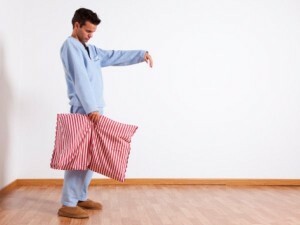 Depriving yourself from sleep can possibly lead to sleepwalking. To help in making sure that you can get enough hours of sleep every night, set a regular bedtime and waking time that allows 8 hours to 9 hours of sleep. To help in having a good night’s sleep, keep the environment of your room conducive for sleeping. If you are regularly taking prescribed medications, such as anti-psychotics, antihistamines, and/or sedatives, then you may need to talk with your physician about those medications. Those medications mentioned can possibly trigger sleepwalking episodes. If you are suffering from sleepwalking and is drinking one of those medications, your physician may discontinue the medication and prescribe you an alternative medication. If you are suffering from other sleep disorders or medical disorders that can be an underlying cause for sleepwalking, such as sleep apnea, restless leg syndrome, and Gastroesophageal reflux, treating the underlying medical condition can be very effective in preventing sleepwalking. If you have a known family member who is affected or suffering from sleepwalking, you may need to consult your physician about medications or even therapies that can be done to help in preventing sleepwalking episodes. Having a direct relative or having a family member that is suffering from sleepwalking can put you at 10 times greater risk to suffer sleepwalking as well. Having a twin can also put you at higher risks for sleepwalking.